Consumers take advantage of our Do-It-Yourself (DIY) Dealer Report® because they want to know the bottom- line price on what a new vehicle will cost them before going to a dealership. New Car Buyers know this will save them many hours of time with the back and forth games dealer play, not to mention the thousands of dollars it will save. They know Inside Car Buying has 15+ years of experience in this business and is the only real advocate for new car buyers. A Do-It-Yourself (DIY) Dealer Report® now levels the playing field between new car buyers and dealerships. 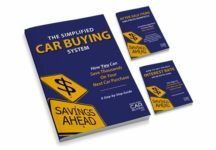 This report reveals the true cost of that new car you’re shopping for, all the information dealers don’t want to disclose, and computes it accurately for you so you have it in your hand while negotiating at the dealership. You’ve now become an educated new car buyer and a dealerships’ worst nightmare! Get Multiple Reports – Compare Models! Find out the absolute lowest price you could expect to pay on your new car before going to the dealership! You get all the information dealers won’t disclose: residual value, money factor, interest rate, bank fee amount, rebates, incentives, marketing support money, holdback amount, cost of accessories and more… You learn exactly what you should pay for your new car and save countless hours shopping at the dealerships! How can a Do-It-Yourself (DIY) Dealer Report® help you get the best price? A Do-It-Yourself (DIY) Dealer Report® saves customers many hours of their time and thousands of dollars, in addition to being 70% of the new car buying process. With us telling you exactly what the out of pocket expense, monthly payment, money factor, residual, real fees, bank fee, rebates, other incentives and aftermarket items with cost you stops the dealers dead in their tracks from getting *anything over on you. *Anything – after we give you the report and you start shopping for the Do-It-Yourself (DIY) Dealer Report® price you’re going to hear the typical statements like… That price your asking for is far below our cost and if you can get that from another dealer you should take it and run. But we assure you the prices on the reports are very much attainable and if you decide you don’t have time to shop for the price on the Do-It-Yourself (DIY) Dealer Report®, we allow you to use our “Hire the Expert Negotiator” service at a $50 discount because you purchased a Do-It-Yourself (DIY) Dealer Report®. Does it make sense for every new car buyer to purchase a Do-It-Yourself (DIY) Dealer Report®? Absolutely! Whether you’re looking to get a Honda Fit or Mercedes S550 we can guarantee that you’re not getting the best price on your own. That’s why we offer a 100% money back guarantee for this service if you can beat our price by $97. For only $97, you can win more than half the battle and learn what you should be paying for your new car. What does $97 really cost you over the payment life of your vehicle? Our service will pay for itself many times over — we money-back guarantee it! Read the full terms of our Money-back Guarantee. I was referred to Tommy from a friend, I was looking to lease a Cadillac ATS. I shopped around a few dealers they wanted 5000 up front with 350+ a month. After receiving the report I was able to lease my ATS with less than half of that down and savings of over 40 dollars a month. I will have saved over 4000 dollars in the next 3 years. If one dealer does not accept the numbers Tommy gives you, let them know there’s plenty of other dealers in the tri state area willing to work with you. I’ve already came back to Tommy to get a report for my parents car and again he has been able to save us money by using his report. Tommy has earned a life time customer and I have raved about him to all my friends and co-workers. Best 100 dollars you’ll ever spend. It totally worked out. I got the exact price that you said from Acura. They weren’t happy about it but they knew they didn’t have a choice! I love the car and the Acura dealership has actually been great to work with. Thank you so much again! I will certainly recommend you! Thanks so much for the power of the DIY report. With it, I was able to negotiate down the original “best offer” from the dealer by over $2,130. Not bad for a $95 investment! Wish my stock investments were that good! The report gave me the knowledge and the confidence to know what the right price was and insured that I would not be taken advantage of. Just wanted to close the loop and tell you that your service is worth every penny. The information you provided gave me the confidence to go into the dealership, name my price and strike a fair deal with the dealer. I will certainly recommend your service to my friends and colleagues. Tommy was great. He got back to me with a full DIY report very quickly and I did the deal the next day. I had all the info – we went back and forth a few times but I knew that I didn’t have to settle. I know this has been said by others already, but I will literally never, ever buy another car again without using this service. I have always considered myself a well informed buyer and a strong negotiator. I have always done a lot of research on the vehicle I wanted, would work with many dealerships on price, and stick to my guns on what I perceived to be a good price. The problem has always been the non-public information. I knew that dealers pad the fees, but there was never a way to know how much padding was included. I knew that dealers could pad the rate/money factor but again, there wasn’t a great way to validate the figures. Forget about getting the true cost of the car. I always checked what invoice was, but never could get insight on true dealer cost. The DIY report gives you that missing insight and, if you’re persistent and patient, allows you to get the best possible price on the vehicle you want. You’re nuts if you don’t pay the $97 for this service. Tommy just saved me $3000 over the life of my lease….and I thought I was getting a decent deal! When I bought the report, I thought he’d tell me there was some room on the fees and a bit of wiggle on the price. I never expected to be able to save as much as I did. BUY THIS SERVICE!! It’s worth it!! Thank you for the fast and excellent response. This was well worth the $ 97! you in early December to “hire my negotiator”. We got a great deal thanks to your service once again. Our deal is for 638.00 per month for 27 months, no money down, which is $60 a month cheaper than the original deal. Thank you for getting this to us so quickly and for your awesome service. knowledge you armed me with was invaluable for my negotiations. Hi Tommy. I have been meaning to email you. I wanted to thank you for the last set of reports that you gave me. With the information I decided to go for an Audi. It was difficult because there were only two of the exact make, model, color cars that I wanted on the island. I got three quotes ranging from 60-80 dollars more per month than your report. With your report I was able to negotiate a price within10 dollars of your projected monthly payment. That was a big savings! Thank you for your service and I will be contacting you in December for my next car! Like many of you, I have been buying and leasing cars for years. I have always felt like a lamb going to slaughter. I was interested in leasing a 2014 Lexus GS 350 F-sport for my wife. Typically, I request quotes for a 36 month lease with 12K mi/yr. Every single dealer was quoting me the same $3k down and $599/mo. I was referred to Tommy by a friend. Let me tell you it was the best $97.00 I have ever spent. Tommy ran the numbers and told me the best lease was based on 27 mo., which was fine by me. After reviewing his numbers I called a couple of dealers who all told me, “no one is going to give you that car for that”. I finally, simply took the sheet Tommy sent me, cleaned up his notes and sent it to my preferred dealer and said, ” meet these numbers and you can lease me the car. Suffice to say, the dealer cried and moaned but in the end gave me the exact deal as prepared by Tommy and will end up saving me almost $3000.00 over the 27 month term! I obtained 2014 IS250 Fsport for $370/month… $1900 due at signing. Orginally $2067 down at $459/month. I used your break down & was indeed successful to get the better price. I pick her up tommorow. Thanks again!!! Talk to you in 27 months…!!!! I purchased a BMW 428 Xi Convertible back in April of this year. The MSRP on the vehicle was $55,875. I purchased the report for $97 to attempt the negotiation myself. I negotiated with 3 dealerships and with each dealership I was able to get a better price than the last by using the last negotiated price as leverage. Having the information available helped because I knew how far I could push. I would never have been as successful without knowing the dealer cost. I was able to get the car for $51,000. Tommy was always accessible and very helpful in answering questions. Never again will I purchase a car without first knowing the cost. Thank you Tommy!!!! I saved $4875. The dealer’s asking lease payment on an $60650 X5 xDrive35i, with $5000 down payment and 12k/year is over $780. Armed with the report I got from Inside Car Buying, I was able to ask for a lease payment of $610 and actually got it within 5 minutes. This particular sales person knew I always come prepared so he didn’t even bother to ask where I got my target number from. This is the second time such a report helped me to get a great deal and I highly recommend everyone to prepare themselves with such a report before walking into a showroom. Another ‘Like’ for Tommy. I ordered my report in the last minute on 11/27 to hit the Black Friday event and got my report first think in the morning. Thanks Tommy for your quick turn-around. Having the report was very helpful to know where you can reasonably negotiate to. Retrieving the reports was very quick and easy. Would recommend to others and use this in the future. I am impressed with the reports and service that Tommy provided. It definitely did help me cause I was able to use it to negotiate among a few dealers. I ended up coming pretty close to the price quoted on the report so I felt happy with the purchase. The money I saved easily paid for the cost of the reports and then some! I will never buy or lease a car again without consulting with Tommy first. Thanks again! Other dealerships wanted more money without even giving me a sunroof. Your report helped my wife and I negotiate a number that we felt comfortable paying. You have a customer for life. We shall keep in touch. Was very helpful– fast turnaround and helped determine as a DIY if the deal proposed by the dealers was valid. Very detailed and useful reports generated. Tommy – I got everything I wanted for the monthly payment you gave me, plus I was able to negotiate a great price for my trade in – which saved me $1000 out of pocket that we had included in the pricing. Even better than the money I saved on the car I got, is the money I didn’t waste on another car I was considering. You and the report saved me from getting into a bad deal. Thank you. Tommy is the best! I just leased two cars in the same week (an Infiniti QX60 and a Mercedes CLS400) and got the exact colors and options we were looking for. The Infinity came in at the exact monthly and out-of-pocket that Tommy’s DIY report indicated while I got the Mercedes for only $10 more a month. These are now the fourth and fifth cars that I’ve gotten with the DIY report and he has been spot-on with every report. Make no mistake. I had to spend a lot of time going to numerous dealers and making numerous calls to find the dealer who would do this deal and who had the color I wanted. Many Mercedes dealers would not meet this deal. But that is why it’s called DIY!! I will always use Inside Car Buying when getting a new car. I’ve used Tommy’s DIY reports on 4 leases so far. Knowing dealer’s bottom line definitely give me lots of confidence. Instead of haggling at dealership, I simply email and ask ‘Can you do this if I drop in today’. Each time I got something very close to the ideal payment. Thanks again. The only time I will spend in a dealership in the future will be test-driving a car. I won’t even look at any numbers without one of Tommy’s reports. I was a bit skeptical going into it since the numbers they said were the ‘bottom line’ were so much higher than Tommy’s, but the proof was them accepting these numbers within 20 minutes of reviewing them. You guys literally saved me $2820 over a 36 month lease. The cost to me for the savings? $97. Nancy – This service was Awesome ! It saved me so much on my monthly payments and a nice amount overall. I loved that they provided you options. Thank You Inside Car Buying ?? You guys were great got the deal I was looking for with in a few dollars. You guys took a lot of the pain out of the process. Have recommended you guys to a bunch of friends and family. We used the report and though we didn’t get the exact price, it was very useful in getting them to come down on the Lexus NX. Originally westport Lexus quoted us close to 500 a month with 2000 down + taxes & fees. We got it for 410 with no money down (we paid about 1300 in taxes and fees). So we felt the report was totally effective and well worth the money. I will absolutely refer you to anyone I know that is looking to lease a car!! Both Tommy and Andrew were extremely helpful during my car buying process. They were willing to get on the phone or answer all my questions though email. I originally wanted a Mercedes and ordered the report through ICB. When the dealer turned down the offer I contacted Tommy who educated me that you sometimes may have to work with 15 different dealerships to get the deal they suggest. All that is handled if you hire ICB to do it for you. My next choice was a Lexus and I purchased the report again. I was pleasantly surprised when the salesman who actually new Tommy, gave me the deal as written on the ICB report. I saved over $120 on my monthly payment and am very satisfied. I recommend using these two for savings on your next car. Excellent experience, responsive and got me a price I could use to negotiate with dealers. I was able to get the price Andrew quoted me which was over $100/month below what the dealer initially quoted me. I ended up leasing the car you quoted me for ten dollars more then what you gave me. Thanks for your help. Dealer said they’ve never leased that truck so cheap. The finance guy even asked me today who I knew at the dealer to get that low. I’ve recommended you to a bunch of people already. You are amazing – 1st try – they agreed to the price! Brought the car home today. Already told many people about your service. THANK YOU! My car’s lease was maturing and I was shopping around for a new car. I had my heart set on the Range Rover Velar but when I went to the dealership and got pricing, it seemed to be out of my budget. I then used inside car buying to get a DIY report. When I received the report , I could not believe it…Tommy had a price that was almost $200 cheaper per month! I called Tommy to go over the report and he was super helpful, courteous and insightful. I used the report to go back to the dealership and they matched the price! With a 39 month lease, it was a savings of over $7,000. The report was well worth the money. I have another car lease coming due soon and I will not hesitate to use Tommy’s service again. Thanks Tommy!